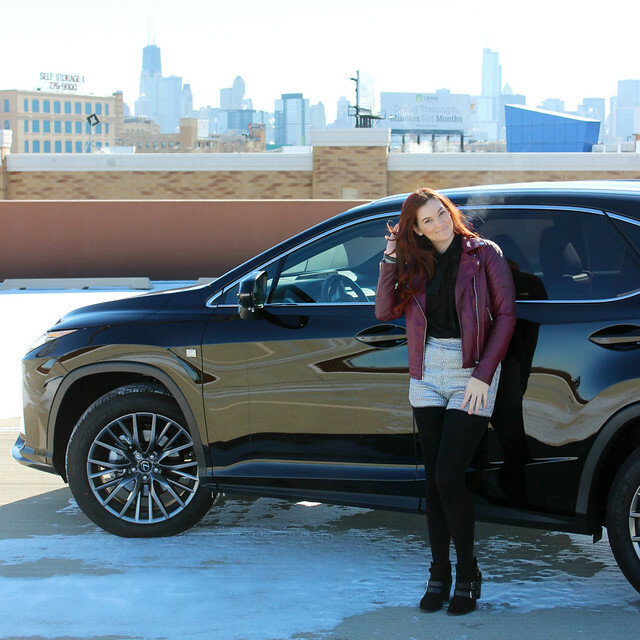 On Saturday, I had the opportunity to spend the day driving around in the new 2016 Lexus RX. I was both excited and nervous. You may not know this, but I'm actually sort of terrified of driving. I didn't get my license until I was almost 17 and sold my car once I moved to Chicago since there are plenty of people here willing to do the driving for me...looking at you CTA! But when the opportunity came to drive a brand new Lexus around to celebrate their #winterheat event...well I just couldn't say no! I intentionally ended up matching the car! 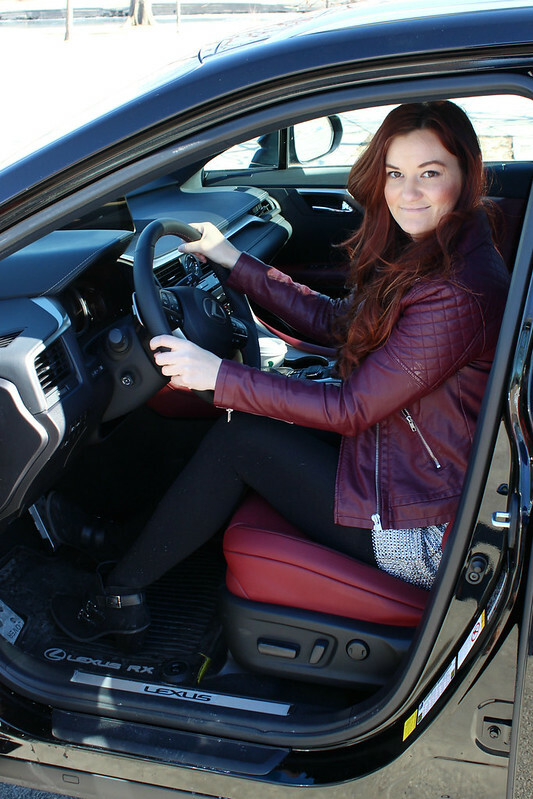 I wore a burgundy moto jacket with pretty much all black accents...and the car was black on black with burgundy red interiors! It's like we were meant to be together. The interiors of the car were surprisingly spacious. I wasn't expecting it to have so much room. Since I own a business, I need a car with room to tote around items for popup shops, events, and more. 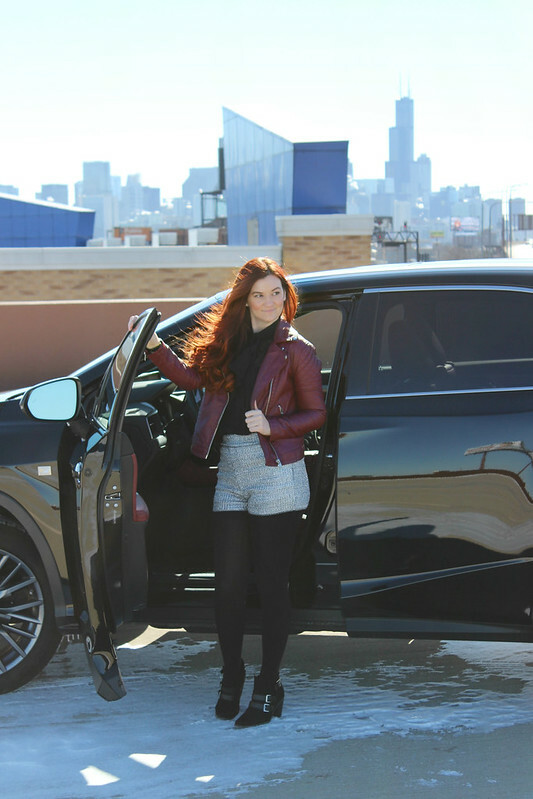 The Lexus RX could easily handle such a task, all while looking incredibly stylish. 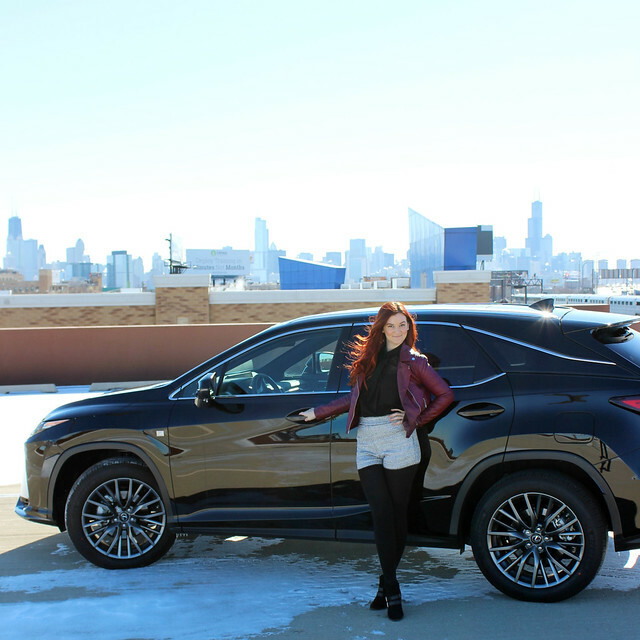 The Lexus RX also kind of turned us into rule breakers. I beautiful car like this deserves a beautiful backdrop. I knew the perfect parking garage roof that I wanted to be on for these photos, except when we showed up...there was a massive "do not enter" sign with chains preventing us from entering the roof top level. Pfft. There was something about the car that made me feel bold and daring. We moved the chains out of the way and snuck up to the roof! 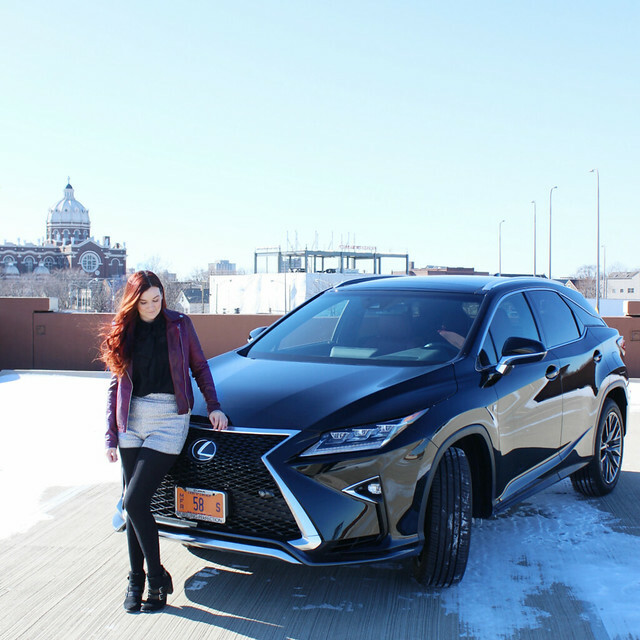 It was incredibly thrilling and really got my heart pumping...which was really similar to how I felt driving around in the Lexus RX. 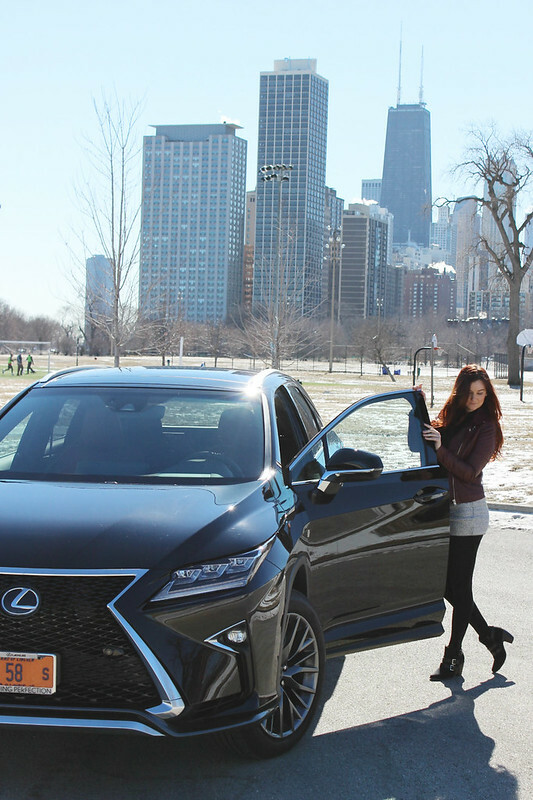 It's smooth turns and quick "get up" from the horsepower made driving the Lexus RX a dream. And plus... that view though?! If it wasn't for the thrill I got driving the car, who knows if we would have been brave enough to break the rules to get that shot. I'm not a natural rule breaker by any means. Good looking and nice photos you have! So what are you can tell about this vehicle? How is your impression after riding this, do you like it? Because recently I was choosing between mustang and lexus models. The salesman was offered to me two options, but the main decission need to make after cheking the vin code. I used this decoder https://www.faxvin.com/vin-decoder/ford/mustang for reports which can help me to protect myself when I will buy a used car with little historical data. And view the build specifications such as type of engine, type of transmission and safety system. The information is accurate and exact to the specific vehicle. So now I have only choose between these two cars, because their reports indicate about the reliability and safety of both vehicles.